A short sale is where the seller has informed the lender they cannot make their mortgage payment, has proven a hardship as to why they are or will be in default, owes more than the home's market value, and has no other assets available. The lender may then agree to accept less than the amount owed on the mortgage to satisfy the loan. This is a step homeowners and banks agree to in order to avoid foreclosures. Do short sales happen quickly? 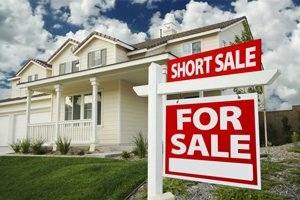 Despite the name, a short sale typically does not happen in a short amount of time. But, if you are a buyer with patience, access to sound legal advice, and are willing to take on a few home repairs, a short sale listing may be your discounted ticket to home ownership. If you are looking to close on a home in 30 days, this is probably not an option for you. Any offer placed on this type of listing needs to be accepted not just by the seller, but by the seller's lender too, so very few short sale purchases close in 30 days. Since there are no guarantees on when you will close, it requires some juggling in the home buying process. If you are selling your current home and trying to time that closing with the closing of a short sale home, it can be difficult. Your real estate agent can help coordinate it, but it may require delays in closing on the sale of your current home to be in line with closing on your short sale purchase. Essentially, the buyers of your current home will also have to be patient and flexible. The uncertain time frame of a short sale usually works best for buyers who are renting and have flexibility in when they close or buyers in search of investment properties or second homes. First, your real estate agent will probably advise you to have a lawyer look at the agreement to make certain you are getting the exact deal you think you are. Real estate agents can explain and negotiate the contract for you, but cannot provide legal advice. Lenders have lawyers at their disposal, and it makes sense to get sound legal advice on the documents. Your real estate agent can research and find out who holds the title, if a foreclosure notice has been filed, and the balance owed to the lender(s). This will guide you in determining how much to offer for the home. Realize that a short sale means the seller's lender is accepting less than what they are owed to release the mortgage, but they want to make as much of their money back as possible. Your agent can send along a list of comparable property sales records that support the price you are offering to pay for the home and help close the deal. Since the lender is accepting a loss, in most cases they will not pay for any inspections, home guarantees on the property, or repairs needed. This means you absolutely should get a home inspection so you know what repairs are needed, with the knowledge that you are usually buying the home "as-is". Be prepared to be wait; some lenders can make a decision in two-to-three months, while others may submit offers to committee, which can take longer. Your real estate agent will maintain contact with the lending institution regarding the status of your offer. A short sale can be an option for a patient buyer on a diligent search for affordable homes for sale, but it is important to be aware that it is not like a typical listing. Taking on the challenges with an experienced real estate agent will make the deal go as smoothly and quickly as possible.